Designing for a furniture maker or interior designer? A website for both. Some people prefer not to be pigeonholed. That’s certainly the case with cabinet-maker Gary Worth. His work has a tendency to bend around his clients: getting to know them, then making a piece of furniture that is the right fit. Personally and literally. This understanding of lifestyles and a great use of space is essential in a craftsman of his calibre but makes categorisation tricky. As a result, he’s hard to define and is no fan of a label. Furniture maker or interior designer? He reckons there’s no need to choose. The best way of thinking about his work, he says, is that it bridges the gap between the two. 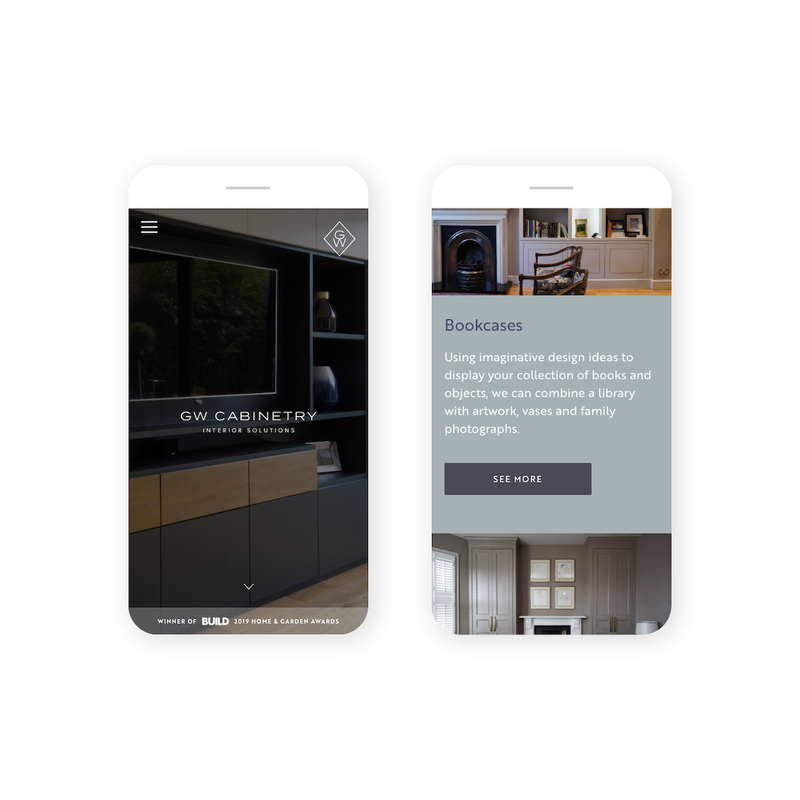 GW Cabinetry – a brand and web design project that proves that doesn’t matter if you’re a furniture maker or interior designer. Gary approached us because much like his work, he needed a brand and website which was completely bespoke. GW Cabinetry has been running for two years with a ‘kit site’ that had suited his needs adequately but was clear he was ready to move to the next level – a custom designed site. With a clear vision of what he was after, Gary was intimately involved with this piece of work. Visiting our studio multiple times to choose colours, explain the parallax effects he was after or discuss copy, the result was a deeply satisfying collaboration for both sides. We firstly devised a smarter version of his existing logo complete with a quirky diamond-shaped hallmark which appears on his van and stationery. This branding was interesting intervention on the page as its role is to overlay the imagery of his clients’ homes, ensuring the overall look is of portfolio rather than a catalogue. 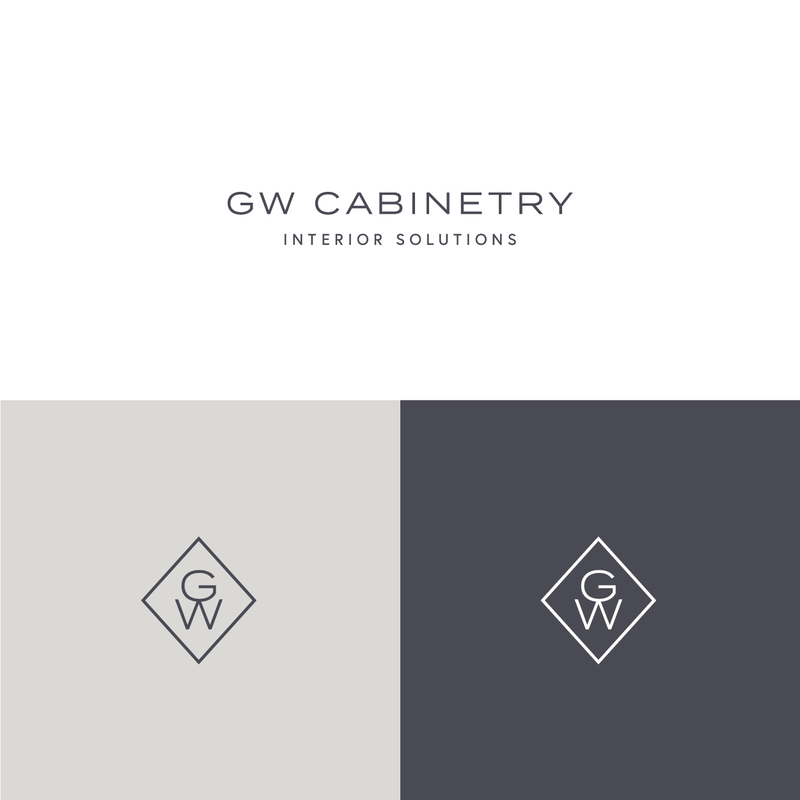 New stationery for GW Cabinetry – a brand and web design project that proves that doesn’t matter if you’re a furniture maker or interior designer. The website that’s resulted from this collaborative effort is a timely reboot Gary’s business. With a wealth of fantastic new work created over the past two years, GW Cabinetry has the look of a firm with strong ideas and a house style. That’s a style which is adaptable, but has a distinctive perspective. 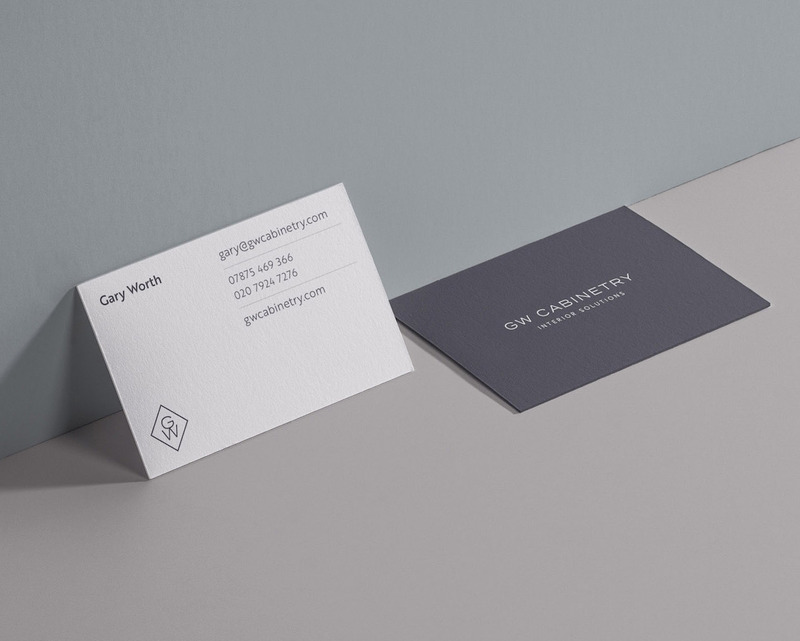 Gary’s expertise counts for a lot in the creative process and means he can advise what works best while working with the space he’s been asked to work with. We’ve featured the strong portfolio of new work he’s got behind him to impress prospective clients and grow his business. Our new website for GW acts as an advocate for his point of view, showing what’s possible. Ultimately the site is his most important sales tool and we’ve not lost sight of that amid the glossy photos. Key to the success of the site the series of pages covering his specialisms – media cabinets, custom-designed storage, bookcases and wardrobes. Standalone pages of this kind are essential as they cover specific search terms his customers will be using. That’s not a gimmick but rather creating topic-led, relevant pages for specific clientele, giving a background to Gary’s experience in each. We always think practically. 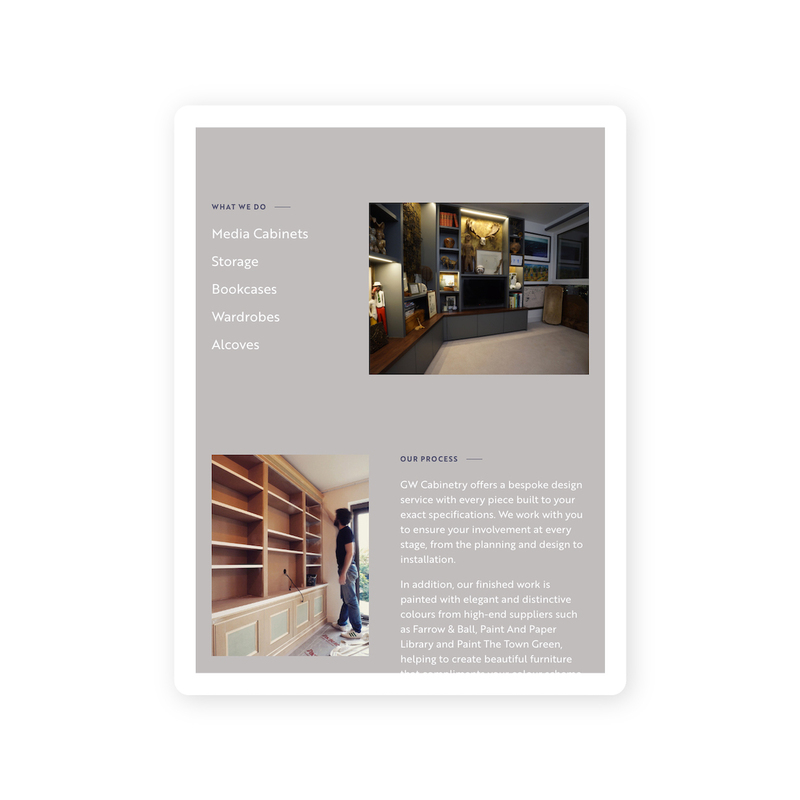 For any small business a custom-design website is an investment but particularly for an interiors specialist where margins can be slender – so this project was created to last. Our design also allows for a growing portfolio, offering him the space and ability to add new work in the coming months and years as he completes it. 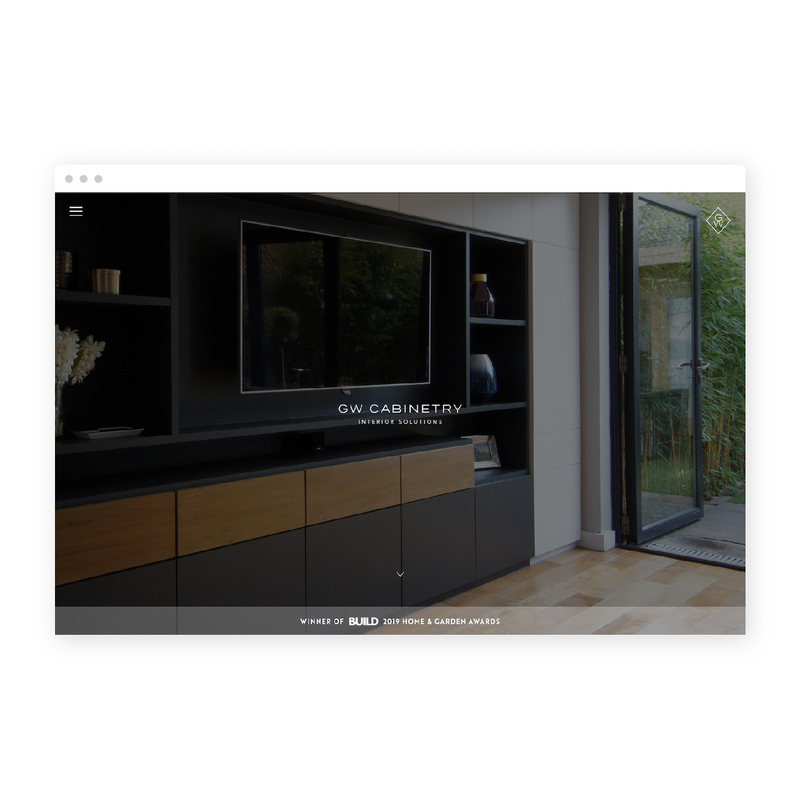 Web design for GW Cabinetry – a brand and web design project that proves that doesn’t matter if you’re a furniture maker or interior designer. Furniture maker or interior designer? For every design specialist, we’re here. If you’re an interiors specialist who needs a brand or web design project, don’t hesitate to get in touch – 020 7351 4083.